DENSO's air/fuel ratio sensor began to appear in the early 90s as vehicle manufacturers increased demands for better emission standards. 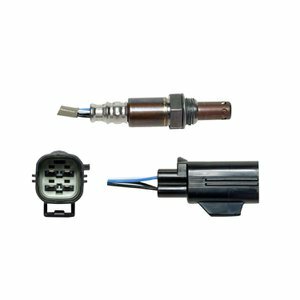 DENSO's air-to-fuel ratio sensor were developed to measure the air-to-fuel ratio information under a wider range of driving conditions. The air/fuel ratio sensor sends information to the engine management computer to makes adjustments based on driving conditions. This wider range and variable adjustments controls the motor to burn fuel more efficient and produce less emissions.As the automotive industry continues to improve on their standards DENSO is keeping the pace with advancements in our engineering to meet the demands from the industry. Also as light duty fleet owners are holding on to their vehicles for longer periods, DENSO continues to make auto parts available for those critical replacement parts for all applications.As oxygen sensor technology has evolved, DENSO's engineers have been there every step of the way. From the first thimble-type sensors to heated, quick-response sensors required to meet ever more stringent emissions regulations, DENSO has supplied the OE industry with quality components. DENSO continues to innovate with the latest development in oxygen sensors, known as air/fuel sensors. These components, also known as wide-band oxygen sensors, have a broader response range to provide much finer control of air/fuel mixtures over a greater variety of operating conditions. DENSO helped to develop this important new technology. Consumers can rely on DENSO First Time Fit air/fuel sensors.